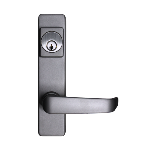 Detex V-40xEB Rim Panic Exit Device Standard Door Stile With Exit Alarm 36"
Home > Panic Bars And Trim > Detex V-40xEB Rim Panic Exit Device Standard Door Stile With Exit Alarm 36"
Detex V-40xEB Rim Panic Exit Device With Exit Alarm. Not weatherproof. 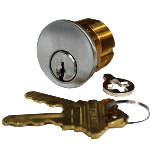 Door Thickness-Fits Standard 1 -3/4" 2 1/4"
Lockey Keyless Panic Bar Exit Door Lock 115-P Is A Pick Proof And Bump Proof Lock. ADA Compliant. Available In Your Choice Of Jet Black, Oil Rubbed Bronze and Satin Chrome. For Standard and Detex Panic Bars. 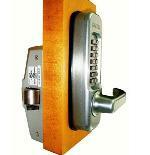 Lockey Keyless Panic Bar Exit Door Lock 115-P MG Is A Pick Proof And Bump Proof Lock. ADA Compliant. MARINE GRADE. For Standard and Detex Panic Bars. 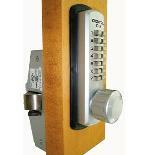 Lockey Keyless Panic Bar Exit Door Lock 310-P Is A Pick Proof And Bump Proof Lock. MARINE GRADE. 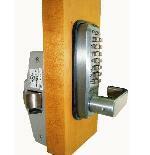 For Standard and Detex Panic Bars.